Nhlanhla Nxele, SABC radio journalist, writes a novel! Nhlanhla Nxele interviewed Felicity Keats for SABC radio in January 2012 . Their interest was in the success of right brain writing in particular with regard to the Premier’s Priority Project in rural areas to uplift reading and writing levels. His novel , “Sailing on Troubled Waters” was launched at the Cape Town Book Fair in June 2012 It deals with a shebeen queen, a rural young woman and a prince-in-waiting. It is a relationships book with some surprises. 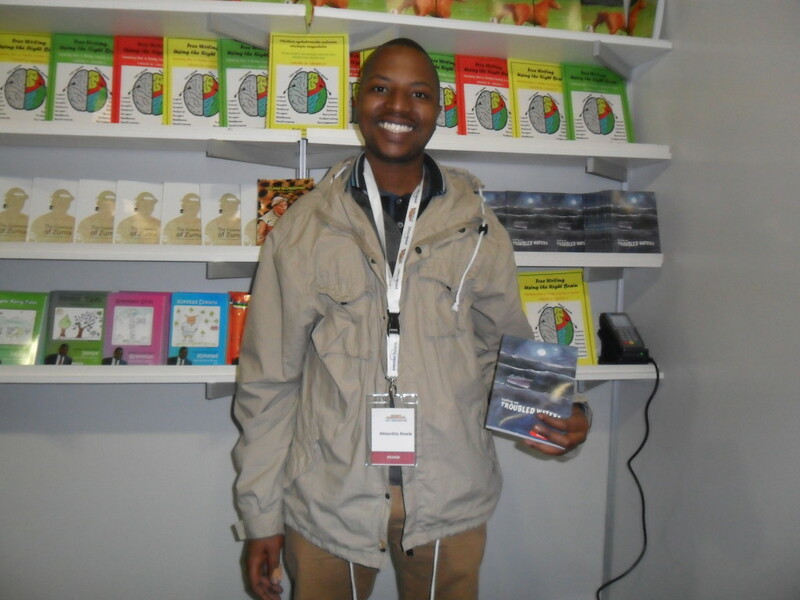 Nhlanhla was upgraded in the SABC News Room to write features because of a superior ability with words. Nhlanhla then started the Blue Moon SABC Head Office Dancing Pencils Writing Club for members of the public.14 people are in various stages of getting their novels completed, with weekly help from Felicity and Nhlanhla. Other right brain courses have been given to members of this club – script writing, journalism, and mentor training, in order to develop talent and to publish new stories and books!